In order to have a healthy and thriving garden, you need to begin with looking after your soil. Healthy soil is dark in colour and well structured with a range of particle sizes. It is teeming with earthworms, beneficial fungi and bacteria – moist and crumbly with a fresh earthy smell. When soil is healthy and has good structure, roots are able to penetrate more easily and deeply, and is less likely to be attacked by pest and disease. Plants can more easily look after themselves, meaning that you can use less chemicals in your garden. Adding organic matter to your soil is the best thing that you can do! Organic matter brings life to the soil, by providing food and habitat for beneficial microorganisms. It also improves soil structure, allowing free passage of air and water. By starting a compost bin/heap in your garden, you can make your own to add to your soil. Add your kitchen scraps, as well as a small amount of high carbon material such as newspaper. Treat your garden regularly with PowerFeed to stimulate the growth of beneficial microbes which break down organic matter and release soil nutrients. Mulch is great to add to your soil in order to retain moisture and control the soil temerature. It also feeds the soil as it slowly breaks down and improves the structure. Mulch reduces the spread of fungal disease spores, and creates habitats for beneficial insects. If you have clay soil (high nutrient and poor drainage, compact and difficult to dig), you can add gypsum. This improves aeration and reduces compaction. Try not to walk on or dig in clay soil when conditions are wet. Mulch well and apply organic matter. PowerFeed can also act as a clay breaker, so try applying this to your soil. If you have sandy soil (well drained, but dry and nutrient poor), add organic matter and lots of mulch. Lucerne mulch is best as it decomposes slowly and forms a loamy topsoil. PowerFeed can reduce nutrient loss in sandy soil. 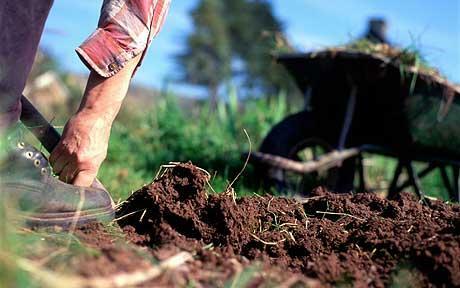 Finally, organic fertiliser will greatly improve your soil’s nurtient supply. PowerFeed promotes vigorous growth and stimulates flowering and fruiting. Also use Seasol, as an organic plant health tonic.